How’d I get that name? The hooman thought long and hard and came up with a list of names and then asked people’s opinions, and Maggie was the one everyone liked! He calls me the Magster, too. I don’t know what that means, but he laughs when he says it. I was glad when he changed it from NO DON’T EAT THAT, because he always said that really loud. Age: Well, I don’t usually like to give my age, being a lady and all, but between you and me, I’ll be seven in January. Don’t I look good for my age? Exercise. Clean living. And lots of dancing. Those are my secrets. 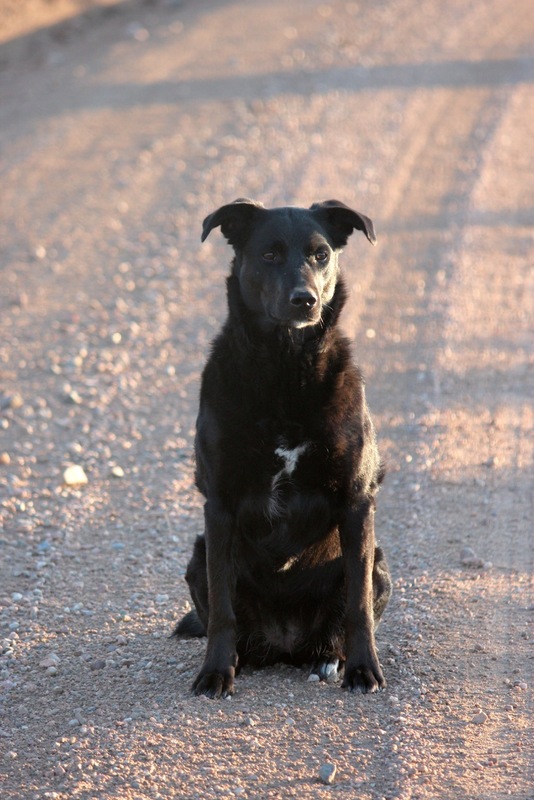 Breed: I’m mostly Black Labrador, but my real breed is “rescue,” so there are other things mixed in, like a good stew! The hooman usually says I’m a Black Lab/Philosopher mix, because I’m a thinker and a writer! I co-wrote a book with my brother Angelo! It’s called Mindful Dogs, and all the cute pictures inside are of me. I mean, there are other pictures, but the cute ones are of me. Favorite Treat: I prefer Milk Bones dog biscuits. And bacon. And the occasional chipmunk. 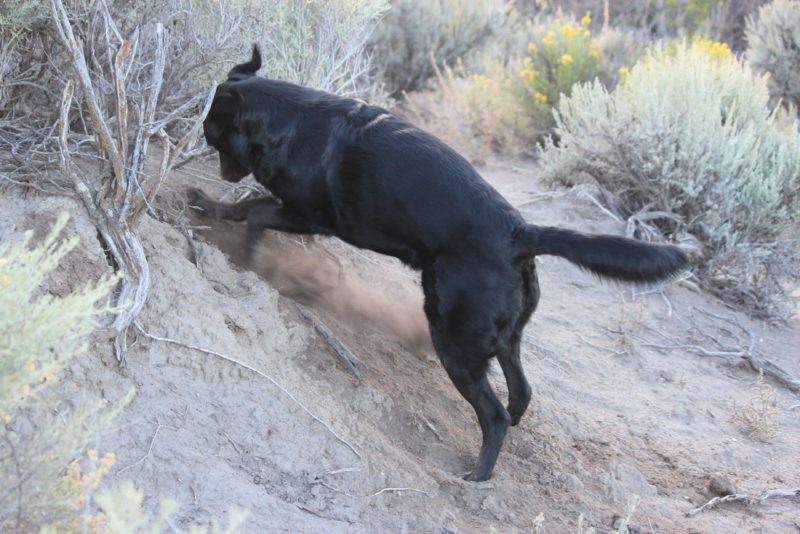 Favorite Adventure: Digging. It’s the best exercise. I believe in digging. You can keep your pilates and yoga and stuff, I’ll just keep digging. My name is: Lt. Reg Barclay Brooks since Mom adopted me last year. It’s Reggie or Reginaldo for short. Before that I was called ‘Max’ at the shelter where I waited a whole year for her. How’d I get that name? My mom said I reminded her of an endearing, unorthodox character in 2 Star Trek series. She says I have his smarts too. Age: I am 4 years old. My birthday is 1 day before my mom’s. 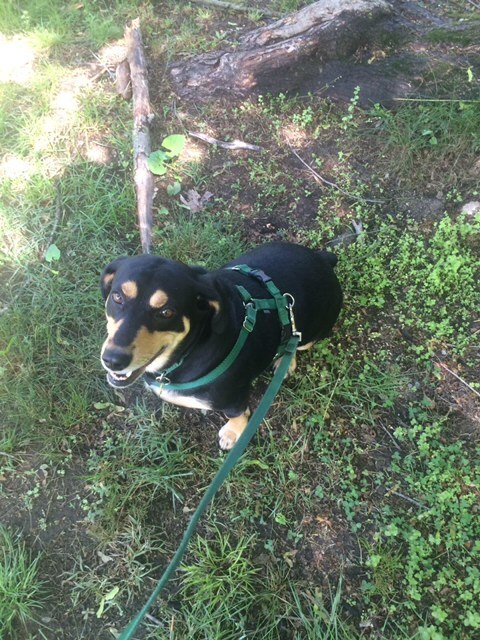 Breed: I am a Bassett Hound/Beagle mix. Favorite Adventure: Riding in the car, especially if we go to our favorite parks for walks or visiting family. How’d I get that name? I showed up on the hooman’s doorstep when he really needed a friend, and he called me an angel. Then he was talking to a friend of his about how he couldn’t let another dog in his life because he’d just lost his dog Suki. 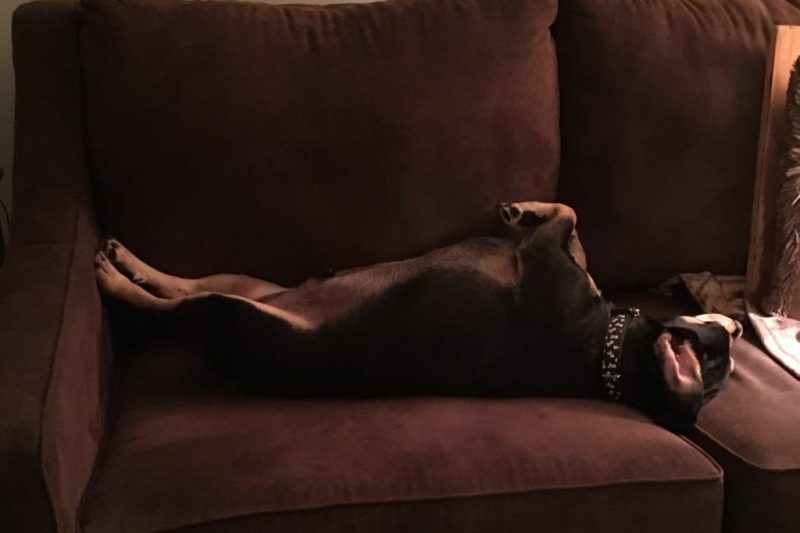 His friend told him that dogs are like Jello; there’s always room for more. The hooman, being a clever writer, put Angel together with Jello, and I became Angelo. Age: We’ll celebrate my 11th birthday on October 3, even though we don’t know my real birthday. 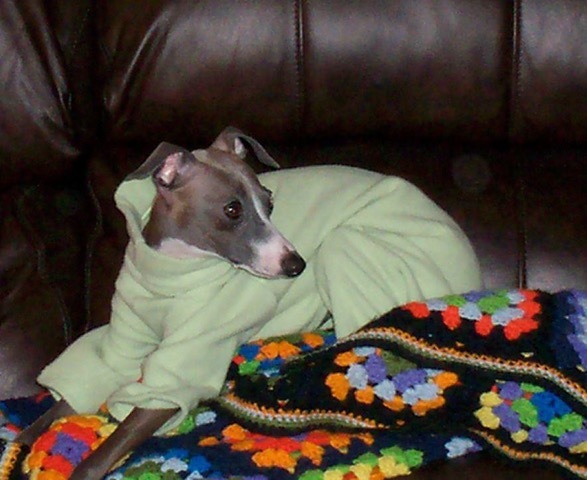 That was the day I first graced the hooman with my presence in 2006, and the vet said I was about a year old then. 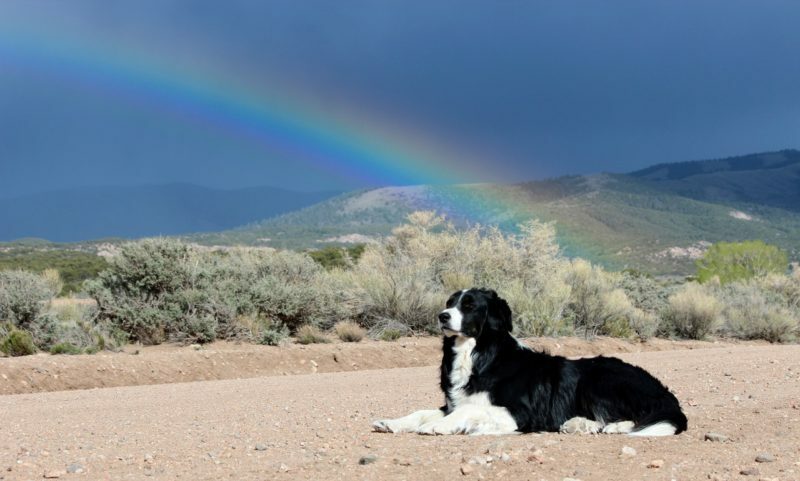 Breed: I’m a Border Collie. They say we’re the smartest breed and have a larger vocabulary than other dogs. That’s important, because I write books. 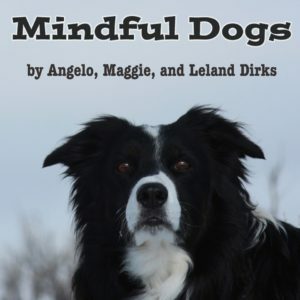 My latest one is called Mindful Dogs, and it’s a picture book I co-authored with the hooman and my sister Maggie. That’s me on the cover. Favorite Treat: Well, I have a fondness for bacon, but dried liver is good, too! 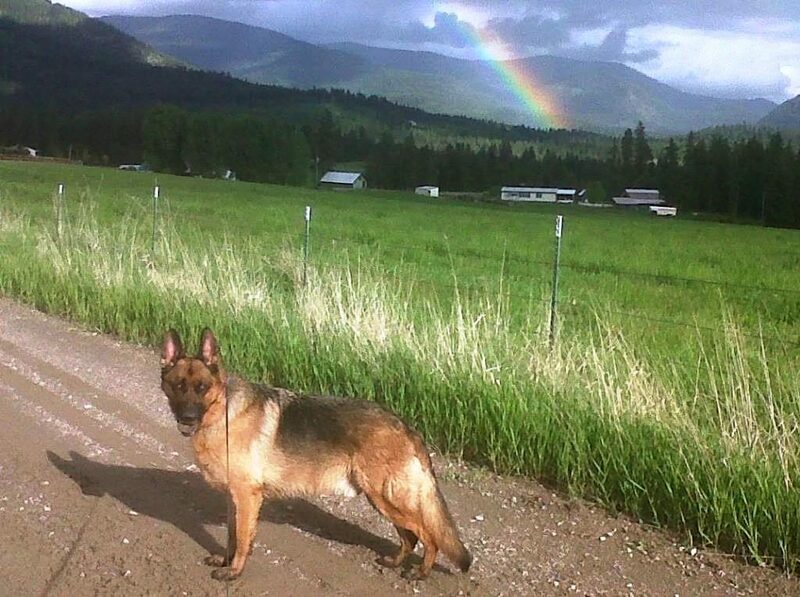 Favorite Adventure: Living out here in the middle of nowhere, I take the hooman on lots of long walks so we can see sunrises and sunsets and mountains and stuff. He needs a lot of exercise. My name is: Gatling von Schaffenhaus, but you can call me Gatty. How’d I get that name? My parents named me after a noble, Bavarian, sausage-making ancestor… and a machine gun. Favorite adventure: I took my parents on a canoe trip once, and jumped out in the middle of the lake to “rescue” a duck. Did I mention that duck is on my “Favorite Treats” list? How’d I get that name? My real name is Augustina Olympia. My Daddy gave me that name because he and Mommy adopted me in an August when the Olympics were in China. 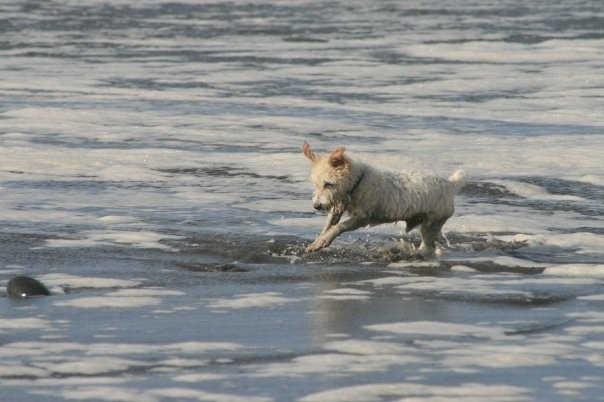 Age: I was born in the summer of 2008 and was just a couple of months old when I was adopted. Someone left me in a dog crate outside a shelter with my papers, except they didn’t put their name on them. 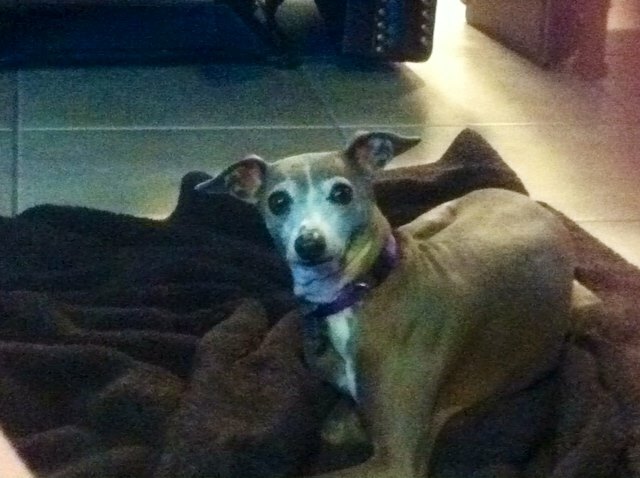 Breed: Italian Greyhound, a/k/a Iggy. Originally we were bred to be ladies’ foot warmers. Typical weight is about 8-12 lbs., and we can run 25 mph! We are not outdoor dogs! We need protection from heat and cold. Favorite Adventure: Play dates with other Iggys! How’d I get that name? My real name, registered name, is Quincy’s Little Native Anasazi, but that’s a mouthful, so I just go by Annie. Quincy is my father’s name and Little Native is part of my mother’s registered name, although she goes by Billie. Age: I was born in 2014 and just turned two a couple months ago. Breed: Airedale Terrier, the king of terriers! 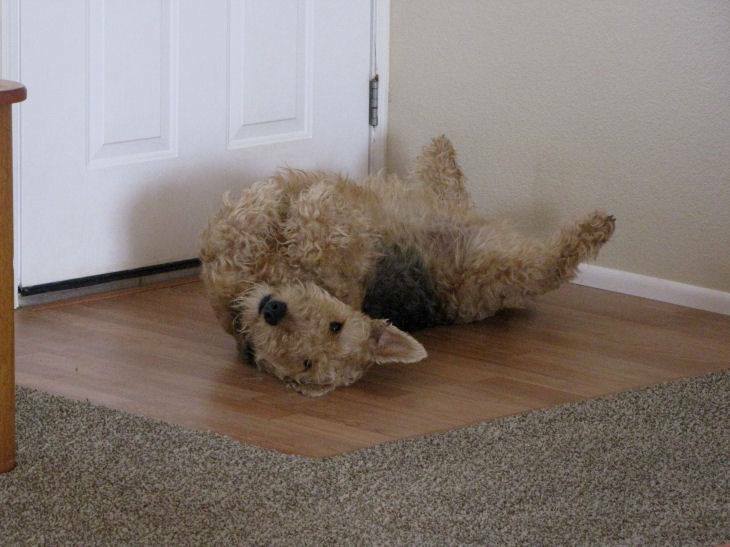 Airedales are the largest of the terrier breeds, and they love to sleep upside down! Favorite Treat: Believe it or not, cow hooves. My mom presses canned dog food into the hollow of the hooves, then freezes them in the freezer so I can have cool, hoof-popsicles whenever it’s hot outside. Mmm, love ‘em! They’re fun to chew on and keep me busy for a long time. Favorite Adventure: I love to go hiking in the National Forest in Northern Arizona, plus I love to wade in the creeks and rivers there. But what I enjoy most of all is playing with other dogs. 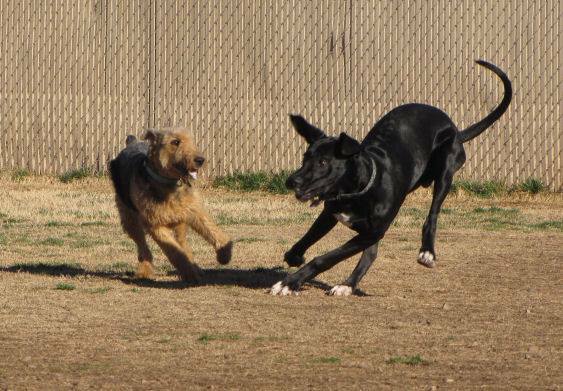 Whenever I go to the dog park, I almost always get to meet new dogs and get to play with some of my friends. The picture here is me with Hendrix, a Great Dane. He was a lot bigger than me, but we had a ball chasing each other around. I could play all day! I figured I’d start the series by going first! How’d I get that name? The first lady who had me liked to give her dogs Yiddish names, and named me Pisher. Then she gave me to my driver, David. When David met my secretary, she said that I walked with a big dog strut, and that I should be referred to as Mr. Pish. And the rest is history. Age: I turned 16 in 2013. 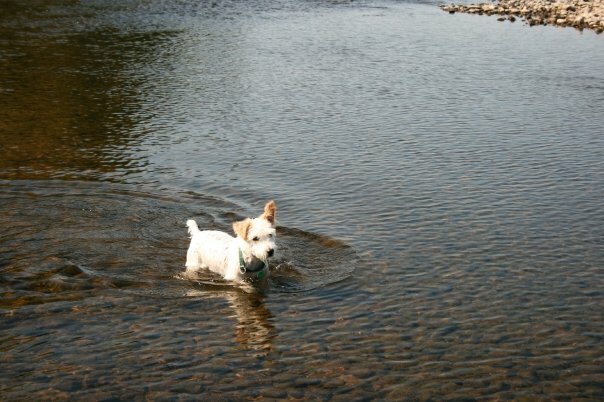 Favorite Adventure: Swimming anywhere and everywhere. I’ve gone swimming in rain forests, three Great Lakes, the Pacific Ocean, the Atlantic Ocean, the St. Lawrence and other famous rivers, the Chesapeake Bay, at National Parks, and more. I can’t even remember them all! But I loved them. 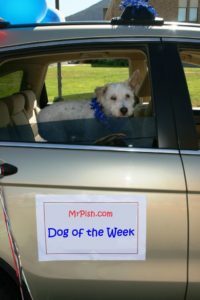 We’re starting a new tradition here at MrPish.com – “Dog of the Week.” Sounds cool, right? Got a dog? Let us know through the contact form and my secretary will email you the questionnaire and instructions. Just fill them out, attach the photos, and send them back, and your dog could be featured right here on my blog! 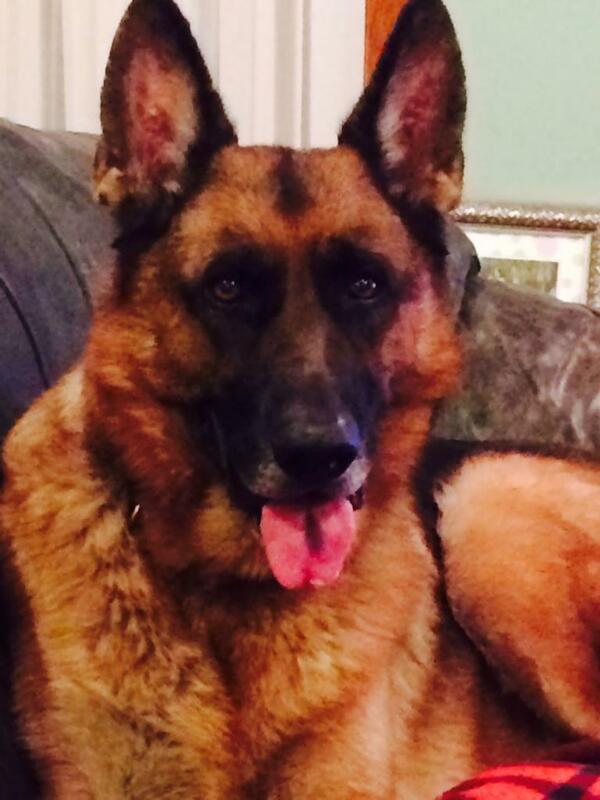 Keep your eyes open and your ears up – “Dog of the Week” starts soon!